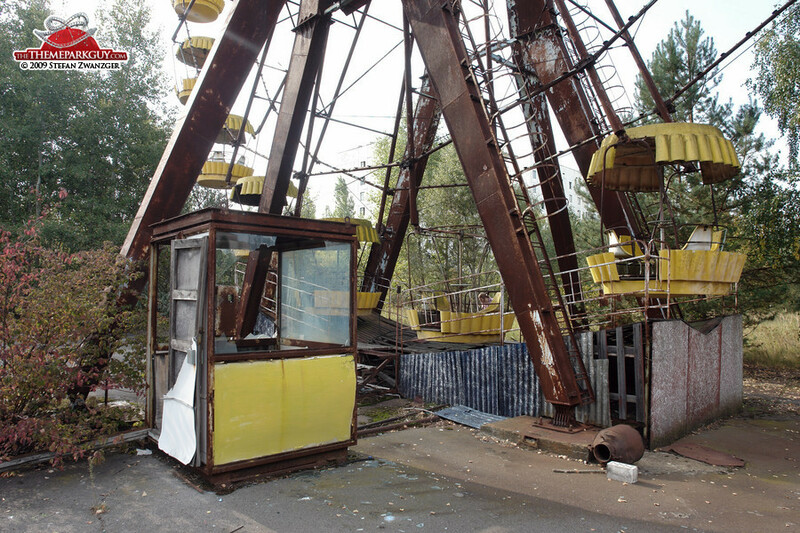 This is certainly the most cheerless, somber fairground I have ever visited. 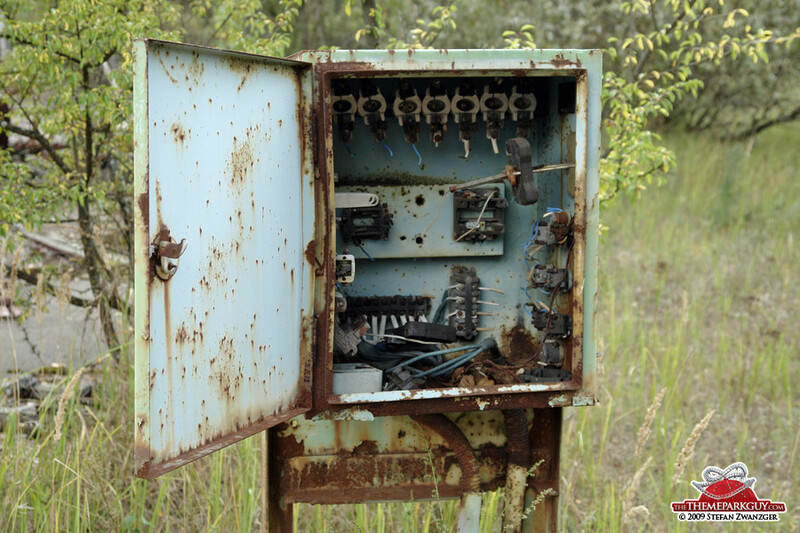 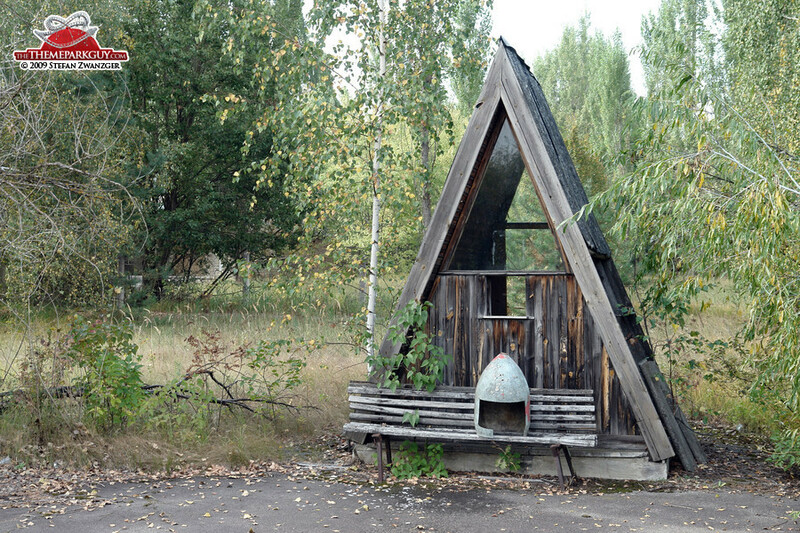 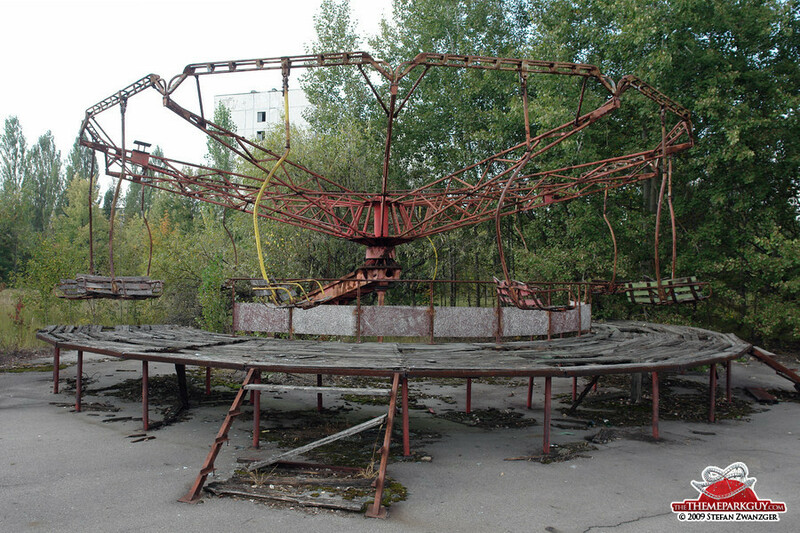 Due to open in 1986 in Pripyat, a little town set up for the workers of the neighboring Chernobyl power plant, one of the nuclear reactors exploded just days before the fairground was about to open. 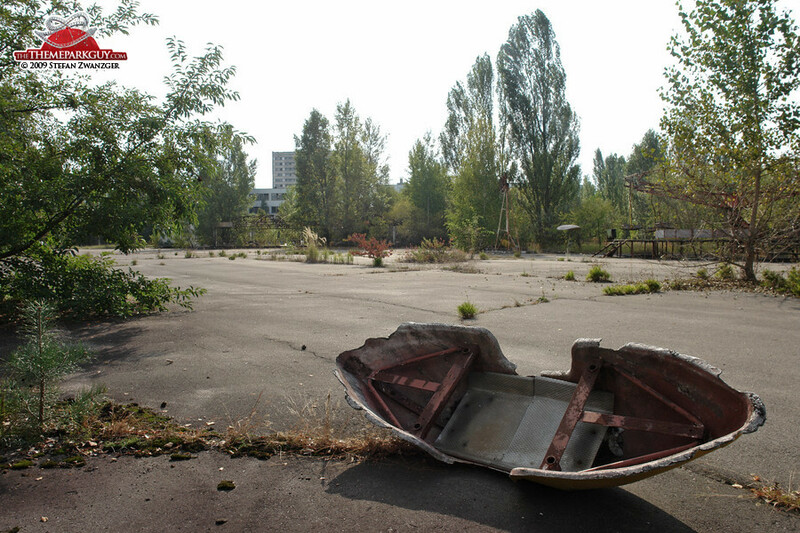 A radioactive cloud severely contaminated Pripyat and infamously affected a staggering 100,000 square mile area around it. 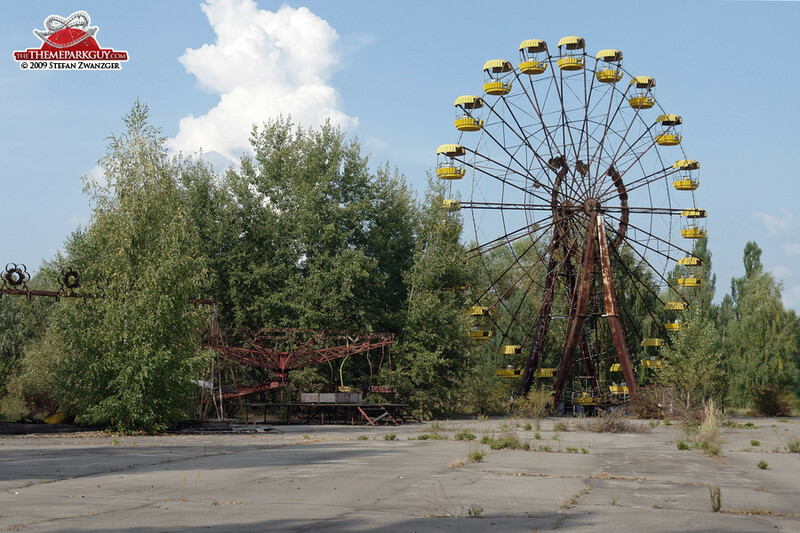 By the time the town was eventually evacuated, many of its inhabitants had already been exposed to a dose of health-threatening or deadly radiation. 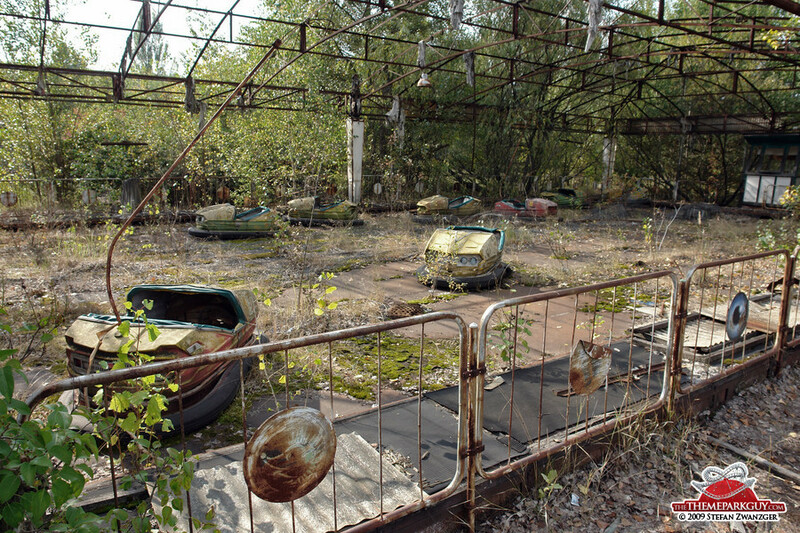 ‘Don’t step on the moss!’, our guide says. 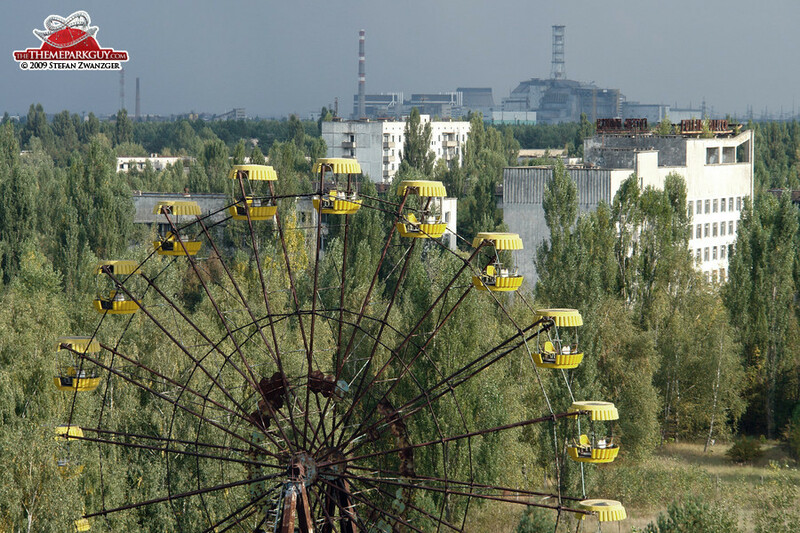 'The fire-fighting helicopters landed here, contaminating the area with radiation they were catching above the power plant!' 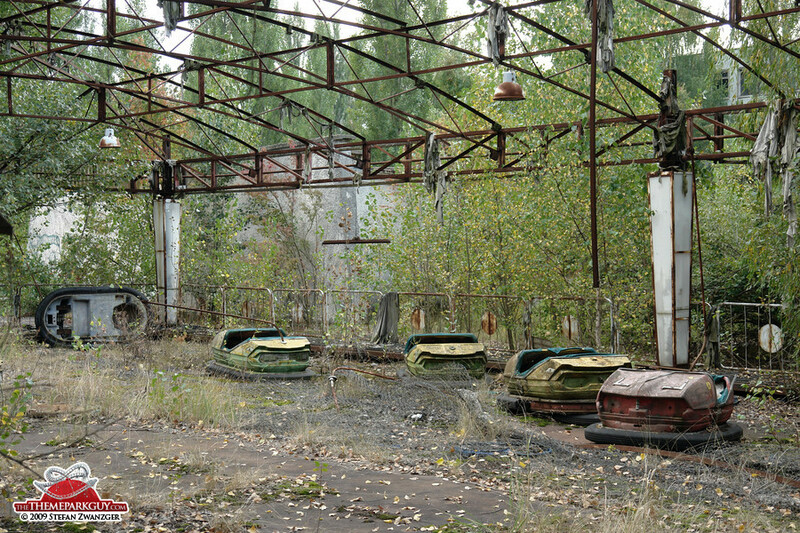 Indeed, the geiger counter beeps hysterically when lowered to the moss. 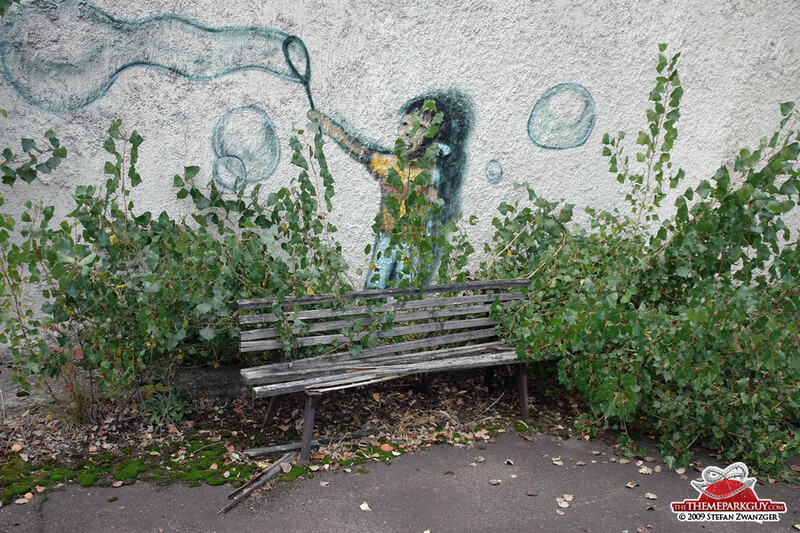 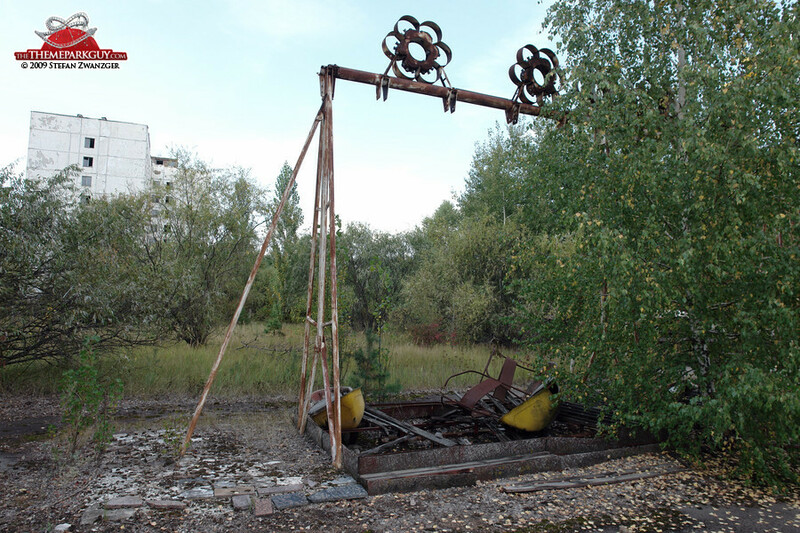 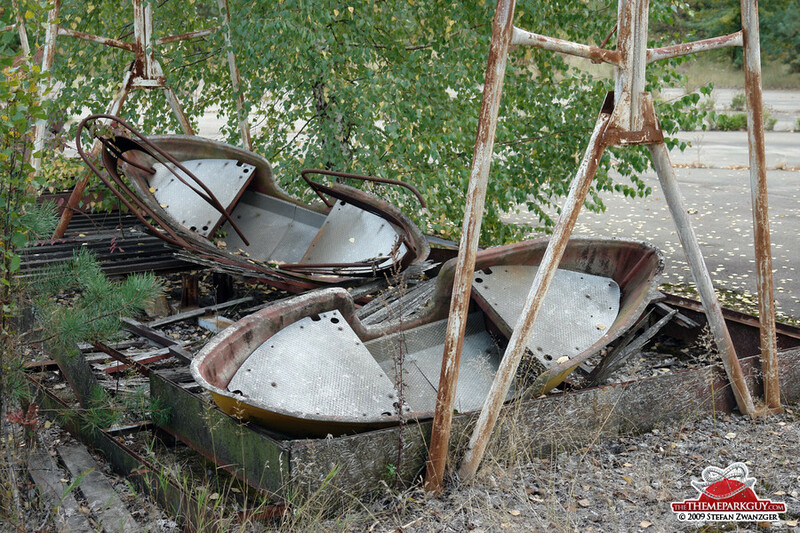 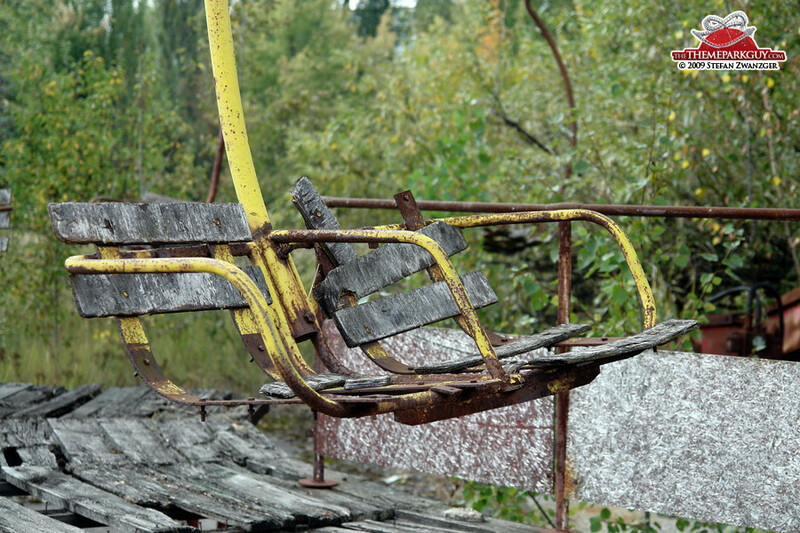 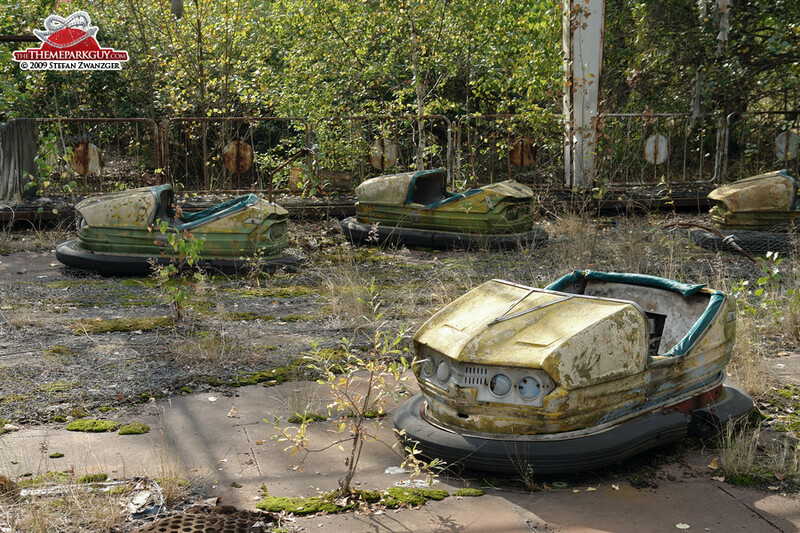 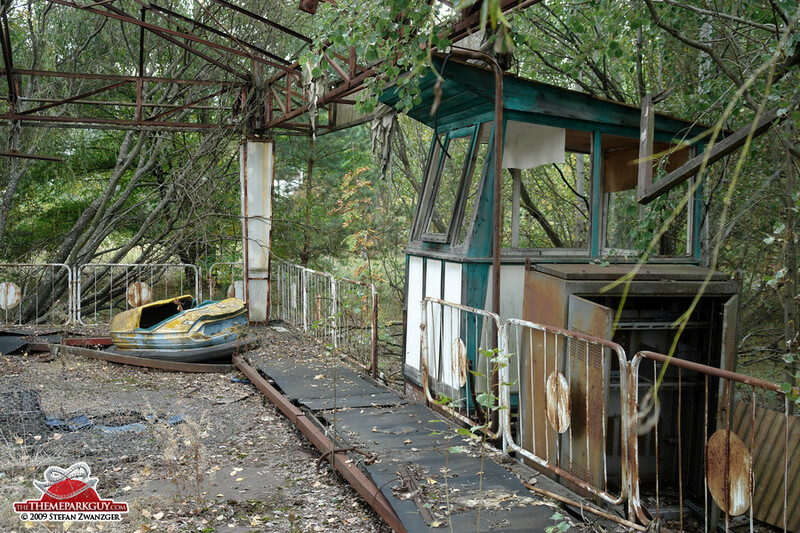 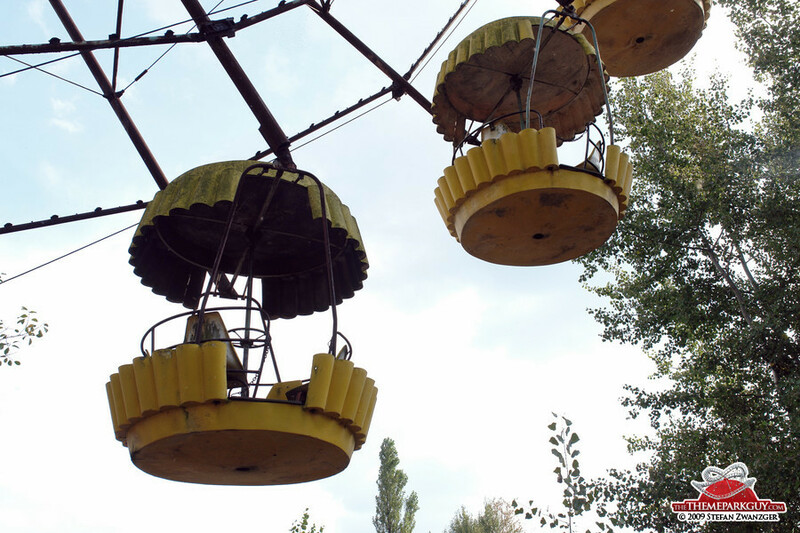 Pripyat is an eerie, silent ghost town and the four fairground attractions (ferris wheel, bumper cars, swingboats and carousel) look like tombstones from the graveyard the newly settled town probably never had time to build. 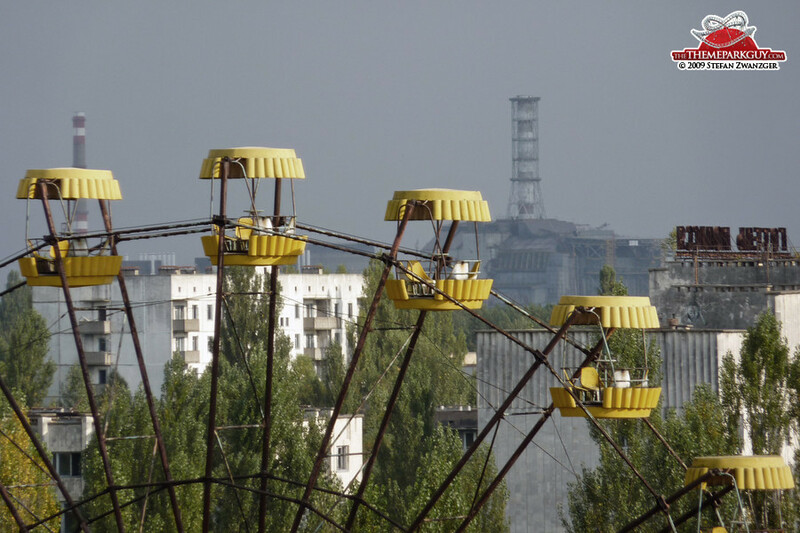 Climbing up one of the derelict adjoining Soviet buildings and looking through the abandoned, rusty ferris wheel onto the sealed-off Chernobyl nuclear reactor in the background, the vista evokes a post-apocalyptic world after a nuclear holocaust. 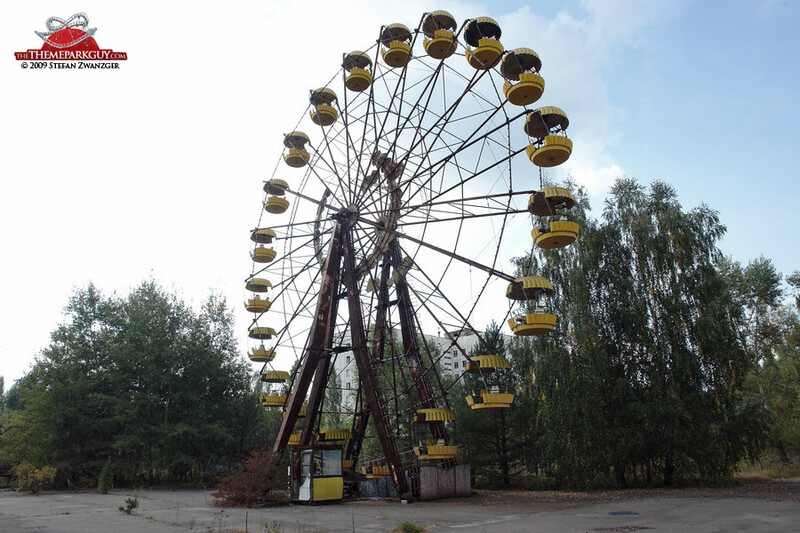 The faded yellow of the wheel is a poignant reminder of the fragility of our daily joys and how dearly we should clasp them.